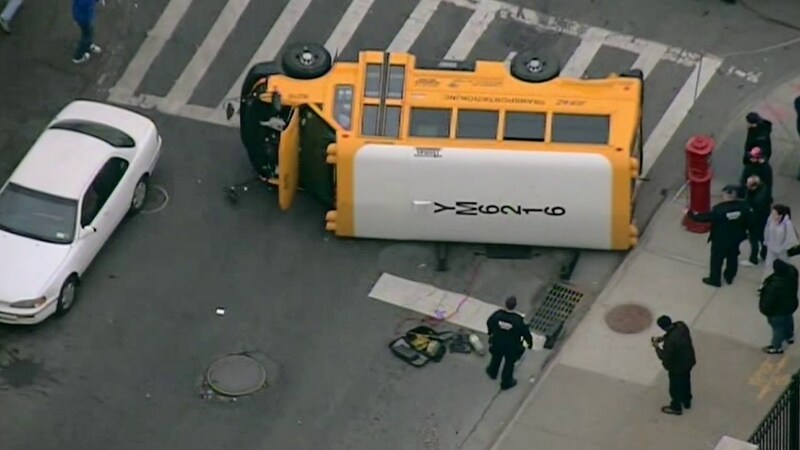 PARK SLOPE, Brooklyn (WABC) -- At least eight people, including seven children, were injured in a crash involving a school bus and a car in Brooklyn. It happened just after 3 p.m. near the intersection of 4th Avenue and 1st Street in the Park Slope section. The FDNY said one adult and six children suffered minor injuries. A seventh child has more serious injuries, which are not considered life-threatening. Everyone is being evaluated at the scene. Nobody has been transported to a hospital yet. The Department of Education said it's aware of the crash and it's investigating the matter.